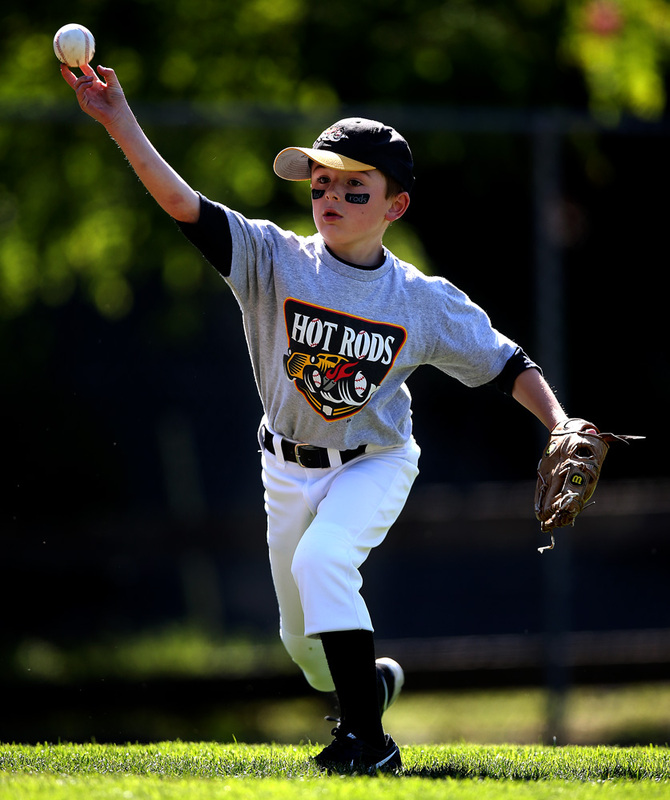 A few days ago I made a return trip to Boyle Park in Mill Valley, California to shoot a Little League game between the Hot Rods and River Bandits. 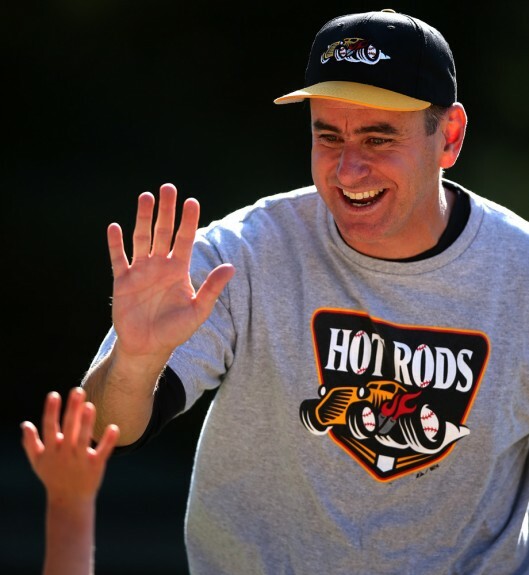 The Hot Rods are managed by my good friend and NEVER. SAY. DIE. 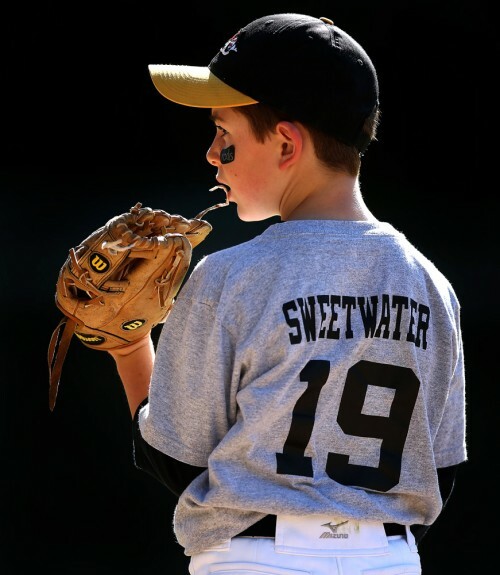 book partner Brian Murphy, and feature Murph’s son Declan wearing #19 and holding down the bag at first. 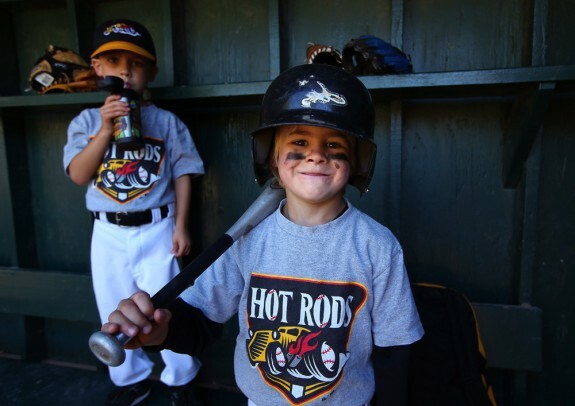 I photographed the Hot Rods in action last season and wrote about it in my blog. 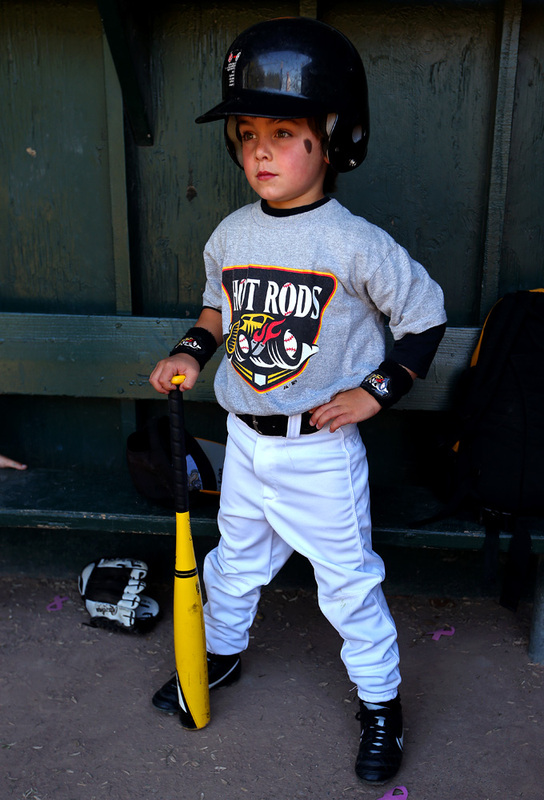 I had so much fun shooting the pictures and the parents loved the images so much I wanted to go back and do it again this season. 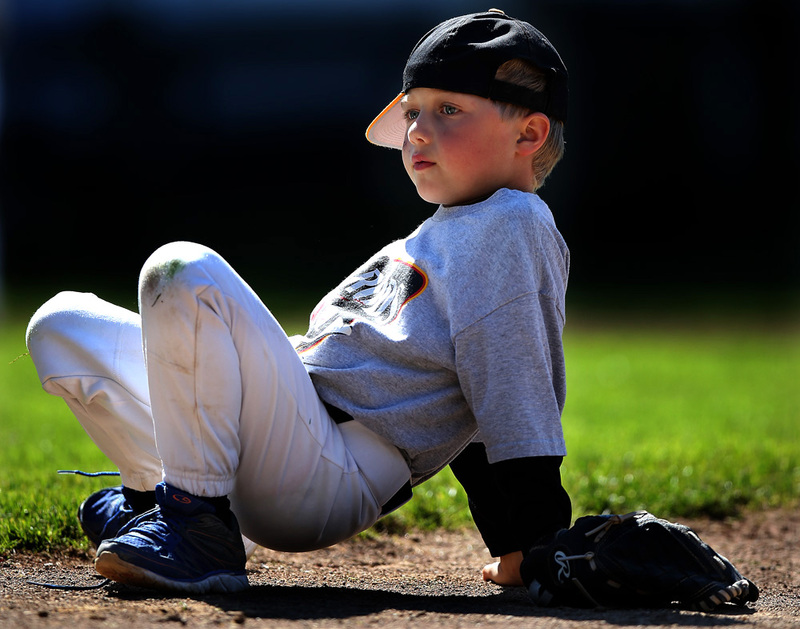 However, I am very picky, so if I was going back to shoot a game it had to be a 4pm start in great light at the historic yard in Mill Valley that has seen so much local history. The Hot Rods only play at Boyle Park twice a year, so I couldn’t miss Friday’s opportunity. 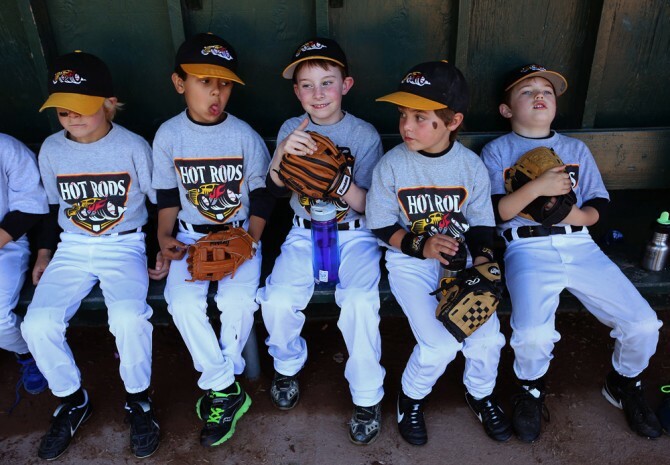 The game between rival squads of kindergarteners would only go for an hour, lasting three innings. I would not have much time to shoot, so I needed to work fast in order to come up with enough variety to put together a fun set of pictures. Once the game started I realized that the light at home plate was in a sun and shadow mix, making for bad pictures. I hate bad light, so I abandoned my plan to shoot batters like I did last year and concentrated and shooting the ballplayers running the bases, making plays in the infield, and goofing around. I shot mostly from the first base side of the field because the back light was so pretty and the backgrounds were so clean. I have always loved shooting into the light with a long lens making the background go black, dating back to my days of shooting games in Danville, California for the San Ramon Valley Times on Tri-X film in the late 1980’s. Once I started shooting and seeing the results on the back of my Canon EOS-1X I was so excited. I knew I was getting some great stuff and couldn’t wait to get back home and edit my take. 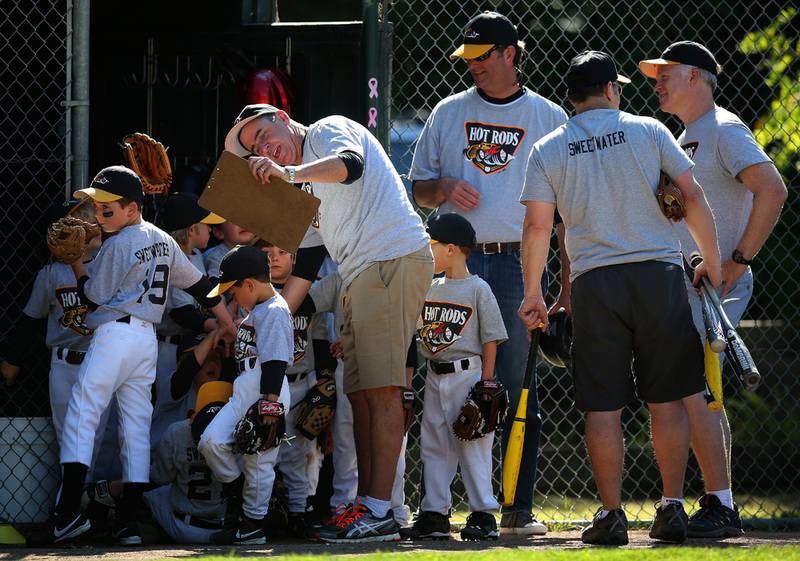 After awhile I knew I had some cool stuff from the field, so it was time to go into the dugout with my 16-35mm lens and shoot some candids and portraits of the kids waiting for their next at bats. One of the special features of Boyle Park is the old school dark green and wooden dugouts. The open shade inside the dugouts makes for a perfect studio for me. I couldn’t miss! 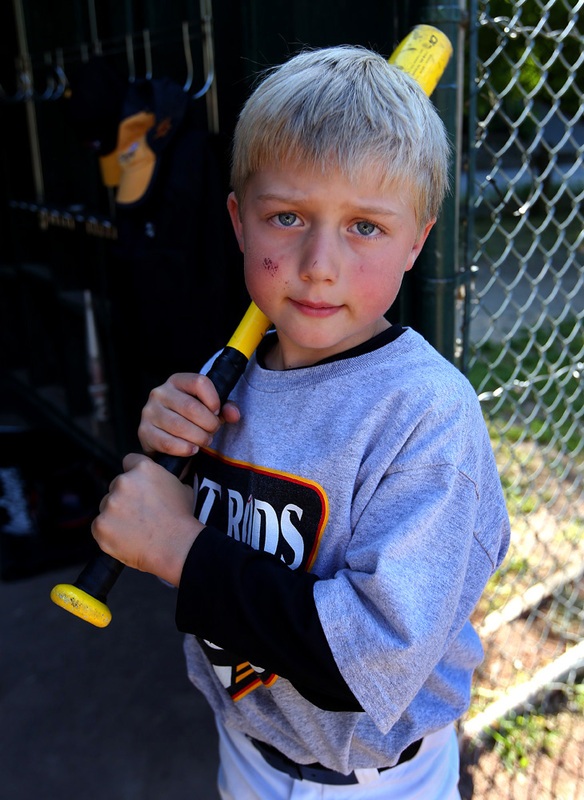 Of course whenever I talk about Little League I have to go back to the days in Fremont, California when I played. We didn’t have t-ball or coach pitch back in the early 1970’s but I had fun playing with my friends, especially when my dad managed our teams when I was 9 and 10 years old. 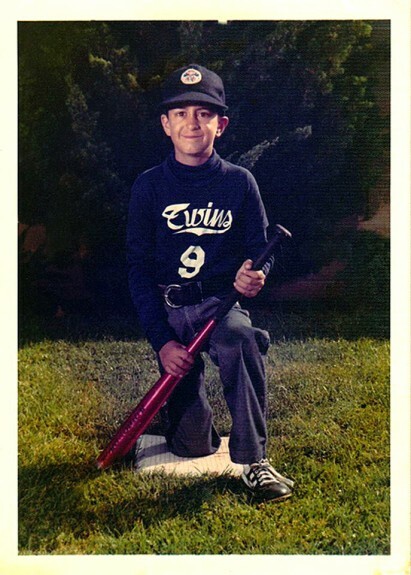 Brad Mangin of the Centerville American Little League Glenmoore Hardware Twins poses on picture day in April of 1973 at John G. Mattos Elementary School in Fremont, California. I photographed several of the Hot Rods in the dugout in the third inning and got some really fun portraits of the boys. Looking back now I like the results so much I wish I had shot more of these, but that hour went by really fast! I did my best to get pictures of everyone on the team. I am not sure if I succeeded but I hope the parents like the pictures, as I set up a gallery on my website so they can download the images they want. 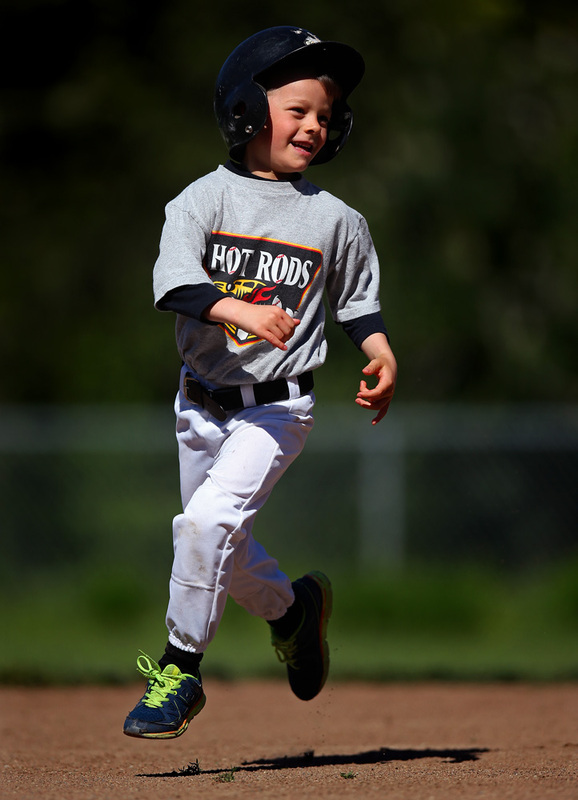 Thanks to all the ballplayers on the Hot Rods and their parents for allowing me to photograph their game last week. I had an fantastic time and really enjoyed shooting the game. I can’t wait to come back next year! Wonderful images with really nice light. Man, if I’m one of the parents I’d better chip-in a few for your work! Nice image of Murph as well. Cheers! Gorgeous Brad!!! Beautiful light, great shots. Looks like you had a lot of fun. The photo of you is priceless!!! Thanks for sharing. I love them! Thank you so much Brad for taking the time to photography our kids! It was truly special for Tate! Nice stuff, Brad. I love that they are sponsored by Sweetwater! I used to go there when I visited my friend, Gus Bower, who moved from Mill Valley to Novato. Hope to see you out there one of these days.